Lots of people are at risk on the job. But when it comes to cops, they’re mostly a danger to others. 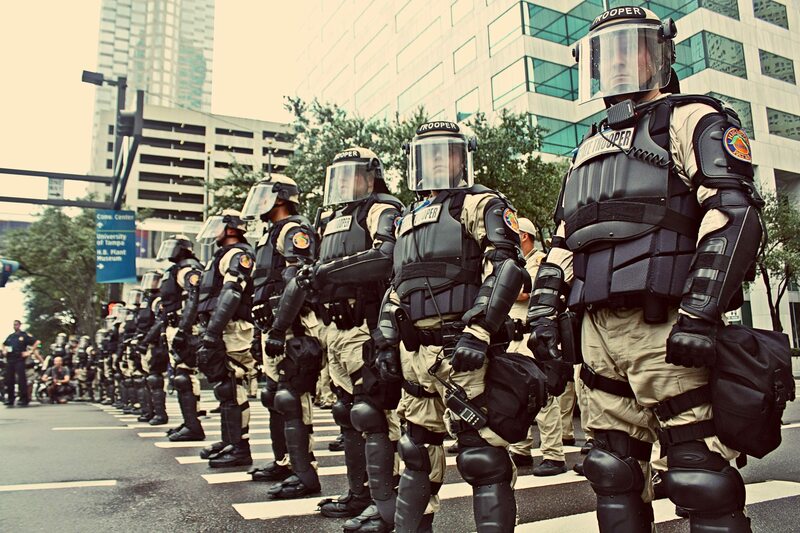 Defenders of the warrior cop in situations like the one in Ferguson, Missouri argue that all of these trappings of military occupation are necessary because of the oh-so-dangerous environment the police supposedly face. Policing is not the country’s safest job, to be sure. But as the Bureau of Labor Statistics’ Census of Fatal Occupational Injuries shows, it’s far from the most dangerous. The 2012 data reports that for “police and sheriff’s patrol officers,” the Fatal Injury Rate — that is, the “number of fatal occupational injuries per 100,000 full-time equivalent workers” — was 15.0. That includes all causes of death — of the 105 dead officers recorded in the 2012 data, only fifty-one died due to “violence and other injuries by persons or animals.” Nearly as many, forty-eight, died in “transportation incidents,” i.e., crashing their cars. While being a cop might not be all that dangerous, being in the presence of law enforcement certainly is. In 2012, there were a minimum of 410 people killed by police, and that includes only those voluntarily reported to the FBI under the creepy category of “justifiable homicide.” Nobody keeps full and accurate statistics, and the real number is probably closer to 1000. To put this level of violence in perspective, the total number of murders committed in 2012 by anyone in Canada — a country of 35 million people, with a murder rate that isn’t even particularly low by rich country standards — was 543. The United States is a dangerous place, and the workplace in particular is far too dangerous for far too many. But if you want to thank someone for bravely facing down danger in order to make your way of life possible, thank your garbage collector or your taxi driver. When it comes to the cops, they’re mostly a danger to others. Instead of issuing them heavier armor than the occupiers of Iraq and Afghanistan, we should be talking about disarming them in the name of public safety.